Asheville NC is not only a wonderful place to live because of the picturesque mountain views and friendly welcoming people, but also because of the low unemployment rate and excellent jobs available in the city. The city of Asheville is thriving, and it is the economic center of Buncombe County with a variety of different kinds of employers and jobs in the area. The Biltmore Company is a large corporation employing many people in the area. 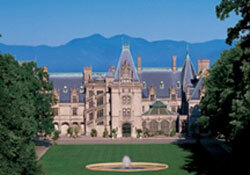 The Biltmore Estate and all of its components are very important to the Asheville area and with that, the Biltmore Company ensures that the estate and all of its ventures run smoothly and continue bringing visitors to the area year round. Because Asheville is home to the Biltmore Home and several beautiful spots, Asheville is a city that truly thrives on tourism and the hospitality industry. Tourism is very important to the city and the region surrounding Asheville, employing much of the population across a variety of different types of jobs. The healthcare and medical industries are also large employers in the area, as Asheville’s Mission Hospital is an award winning hospital with cutting edge technology and options for premium healthcare. The city of Asheville is full of great opportunities and a wide range of employment options. With a close knit community, Asheville’s businesses thrive on visitors, tourism and the unique lifestyle people find here. With each passing month new jobs are created, keeping our unemployment rates lower than national averages. In fact, just within the last few months, Smith Aerospace announced plans to expand its manufacturing offices in Asheville, created 300 new jobs in the area for high skilled workers. Corporations and businesses in Asheville are constantly coming to the area or expanding their locations here. When you relocate to Asheville NC, have peace of mind that the employment outlook here is excellent and there are a variety of jobs available.